Hillarys Boat Harbour is a popular spot for tourists and locals. It boasts a large selection of speciality shops, bars, restaurants and cafes. There are over 2700 car parking bays, walkways, cycle paths and parklands that make Hillarys Boat Harbour a unique destination to spend a beautiful day. 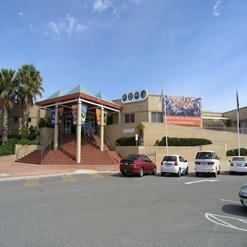 Hillarys Boat Harbour is home to Aquarium of Western Australia which displays the marine life.